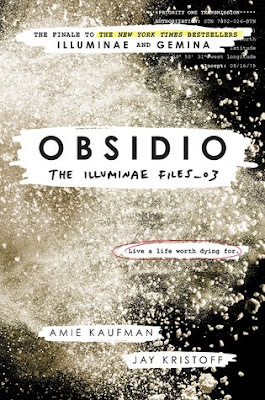 Ah, is anyone else super excited to get their hands on Obsidio?! Obsidio is released in March! If you've not yet checked out this series, you should totally do so! Yassss!!! Soooo cannot wait for this one!!! YES!! Great pick. :) I did this one for my WoW a month or so ago. I cannot wait to get my hands on this and see how everything works out. I hope you love it Christy! Here is my WoW! Eeeeeppp! This book could not come fast enough. I was sad to see it was pushed back BUT, that means a better book. :D I hope you enjoy this book when you get the chance to read it!